Mani Vadari (mani.vadari@moderngridsolutions.com) is founder and president of Modern Grid Solutions, which provides consulting and training services. Gerry Stokes (gstokes@bnl.gov) is an associate laboratory director at Brookhaven National Laboratory. The authors acknowledge the contributions of Stephanie Hamilton (shamilton@bnl.gov), smart grid R&D manager at Brookhaven National Laboratory. Just a couple of months ago, the U.S. Army commissioned its first grid-tied microgrid. This microgrid, at Fort Bliss in Texas, enables the integration of renewable resources and energy storage, and is designed to reduce overall greenhouse gas emissions and energy costs while providing the capability to operate independently of the electric utility grid when needed to provide energy security. Of late, microgrids are getting a lot of attention, not just to support national security at military bases, but also to provide more resilient power supplies at other types of facilities, to allow for increased penetration of renewables, and other reasons. College campuses, military bases, and even corporate campuses are exploring microgrid options. This has spurred creation of new technologies and control mechanisms that allow these systems to operate in a grid-connected mode and also independently for extended periods of time. This article proposes a radical new concept: a top-down breakup of the distribution grid into an interconnected set of microgrids. Such an architecture would dramatically change how utilities address storm response while also delivering utilities’ other mandates. We call this the “dynamic microgrid”1 – a new concept that will move the microgrid from its present niche to a mainstream position. Dynamic microgrids have the potential to be a key element of the ultimate self-healing grid – the Holy Grail of the smart grid. They’d allow the grid to divide itself into smaller self-sustaining grids, which can then be stitched back to form the regular distribution grid. The main constraints in the move to dynamic microgrids are less technological in nature. Instead, they involve policy, regulation, and interconnection standards. This move is also fraught with implications for the utility business model and needs to be navigated carefully. However, the industry’s response to major events like Superstorm Sandy demonstrates a critical need for a change – and the dynamic microgrid architecture presents a significant and credible option. There now is sound evidence to show how recent extreme weather events – i.e., superstorms – have greatly affected and degraded our economy more than ever in the past. Such events bring major disruptions to the power system and create inconvenience for everyone. Undoubtedly, the United States requires a reliable, resilient, safe, and secure electric power system to sustain our economy and ensure the smooth improvement of everything from transportation and communication to banking and industrial production. Even more vital is the need for a sustainable electric supply to our military institutions, and for meeting associated national security demands. These so-called “very large scale events” (VLSE)2 destroy not only the electrical infrastructure in communities, but basically bring down the entire economy of the area, which remains depressed until the electric infrastructure is restored. Often a VLSE’s effects span across an entire region of the country. The term VLSE encompasses not only meteorological events; it can be any large-scale event, even including earthquakes. Thus, individual electric utilities often can’t adequately plan for dealing with VLSEs, nor can they undertake the necessary infrastructure restoration work. Advance planning for something of this magnitude or responding to its aftermath requires close coordination and collaboration at federal, regional, state, and local levels. Policies and regulations that facilitate collective action also are vital. Moreover, grid modernization (smart grid) technologies alone can’t adequately improve and sustain the reliability, resilience, safety, and security of the electric system during a VLSE. Rather, their resolution must integrate people, technologies, and processes to maximize effectiveness in preparing for such responses. Let us consider a typical storm scenario and the typical utility response. As most hurricanes (category 3 and above) travel up the East Coast of the United States, they’re accompanied by heavy rains and winds, the latter sometimes reaching more than 100 mph. When such a hurricane hits land, the severe winds bring down trees that disrupt and destroy sub-transmission lines, and, more particularly, distribution lines, so creating a storm-emergency scenario. Such events happen relatively often in the Eastern and Midwestern states, and each time they affect many thousands or even millions of people. Resulting outages affect many customers because much of the distribution network is configured radially. When something breaks, all the downstream loads lose access to power. Moreover, much of our power comes from large centrally based generation, with long transmission lines that serve large regions; distributed generation still is rare. And even where distributed generation is installed, it often isn’t designed to operate in an islanded mode. Depending upon the level of sensing or controls available in a given area, operators at the utility’s distribution control center will be aware of some outages through their SCADA (supervisory control and data acquisition) systems. However, unless an AMI (advanced metering infrastructure) system is fully integrated into the OMS (outage management system), the operators generally will have little understanding of the extent of the outages until customers start calling with reports. As the utility learns about the full extent of an outage, staff members start prioritizing the needed repairs and restorations. Every utility has its own prioritization sequence that generally is based upon criticality and number of customers that have lost power, with restoration prioritized for main lines first before the lateral lines, and so on. As equipment needs to be deenergized or reenergized, operators at the control center must develop switching orders to assist the field crew in isolating the equipment for reconnecting to the grid. This task is critical because if too much load is picked up simultaneously, then the lines can overload and trip again. Repairs are made as needed; sometimes badly damaged equipment might need to be replaced. The reconnecting process can be a delicate operation due to the lack of sensing equipment and the operator’s limited understanding of the exact amount of load that will be picked up on reconnecting the lines. The system is slowly stitched back together and it comes back up and runs again. The new state of the network might be somewhat temporary, to get as many customers back online as quickly as possible. However, gradually the system is brought back to its normal configuration where it can continue to function in a stable manner. While the sequence of steps can differ from location to location, it’s important to note the general characteristics of the situation that drive how a typical utility responds to a storm, and recovers from it. The Galvin Electricity Initiative defined microgrids as modern, small-scale versions of the centralized electricity system. They achieve specific local goals, such as better reliability, reduced carbon emissions, diversification of energy sources, and lower costs. These goals are established by the customers or community being served. Like the macro utility grid, smart microgrids generate, distribute, and regulate the flow of electricity to consumers, but do so locally. Microgrids are slowly infiltrating the modern grid by appearing in industrial campuses, university campuses, and military bases. By definition, they are designed either to operate independently, bringing together a variety of sources of generation to serve their loads, or to be fully connected into the grid. The microgrid of today as designed and visualized is more focused as a niche application of the distribution grid for specific outcomes. Possibly the most significant application of the classical microgrid is to support critical infrastructural applications focusing on the customer’s side of the meter, where the customer could be military, university, commercial, industrial, or institutional customers that run a campus, and where there’s a requirement to isolate the operation of the campus due to business or technical needs. However, it’s likely that this focus will change as microgrids are extended to do more than serve isolated campuses and the like. We believe it will become part of the parcel of distribution grid operations that will be brought into use either for efficiently using non-traditional sources of supply and demand, or to help utilities minimize disruption during emergencies. A dynamic microgrid can be defined as a portion of the larger distribution grid that can independently separate itself from the main grid when the latter is under duress, and is able to sustain itself for extended times by creating a stable balance between supply and demand within its boundaries. Thereafter, it can reattach itself to the main grid after normal operation is established. It’s important to distinguish between the classical microgrids that basically are designed to protect critical infrastructure, and the dynamic microgrids that are intended to minimize outages and accelerate restoration for the broader customer base. While the dynamic microgrid shares many of the same attributes of the classic one, it’s important to note the dynamic nature of its formation and dissolution. • Accommodate different sources of energy: The dynamic microgrid has the control capability to handle different types of energy supply, from centralized fossil-based sources, to distributed and renewable ones. It also must be able to handle fuels directly, such as natural gas for heating or processes, or to generate electricity via fuel cells, microturbines, or reciprocating engines. • Self-sufficient at least for short periods and, possibly, on a continual basis: The control mechanism within the dynamic microgrid can handle balancing the supply-demand equation within itself, or continuously as a part of a larger grid. • Advanced self-healing capabilities: The self-healing capabilities associated with the dynamic microgrid include features such as the ability to: 1) decouple itself from the main grid automatically under certain conditions; 2) reconfigure and reroute power through different feeders upon the occurrence of a faulted condition; and 3) drop one or more loads depending upon their criticality at a given time. n Automatically optimize supply and demand resources: This ability would be in stark contrast to today’s grid where demand generally drives the need for supply. This functionality requires that the optimizer must consider conditions such as demand response in all its variations, integrating renewables (e.g., wind, solar power), electric transportation, energy storage, and other local energy resources to be used and managed. Also, depending upon the location, the dispatch solution needs to consider wholesale and retail electric markets. Taking the same storm scenario through a distribution grid that can deconstruct itself into dynamic microgrids, the outcome would be very different. (See Figure 2). We believe the move to a dynamic microgrid will follow an evolutionary process, from today’s situation to that of a sophisticated set of sensors managed by advanced control systems able to work in a centralized and decentralized manner, delivering the most reliable power possible at the lowest cost, while, at the same time focusing on taking maximum advantage of localized, distributed renewable sources of supply. (See Figure 1). First, we’ll see the formation and identification of natural microgrids. The first phase will be established within today’s distribution grid along natural boundaries; good examples here are college and university campuses, business parks, corporate campuses (e.g., Google’s campus in Mountain View, Calif.) remote mining and industrial towns, and military bases. College campuses – such as the University of California at San Diego, New York University, and the Illinois Institute of Technology in Chicago – already have begun to look at ways to become less dependent upon their local electric utilities. Over time, on the global stage, this will also include a plethora of apartment and condo complexes, many of which already are installing backup power systems to operate when the local utility is unable to deliver power reliably. In the second phase, natural microgrids will start investing in newer and more sophisticated sensors, controls, and smart-grid technologies, like distributed generation, storage, and demand response. A combination of these mechanisms, supported by a full-featured control capability, will allow the microgrid to sustain its energy needs in the short term and, in a mission-critical mode, even for extended periods (from months to a year). The U.S. military is investigating installing such microgrids in many of their onshore and remote bases. During this phase, progress will continue in distributed generation (possibly more PV-based power) and storage. Demand response will become a key part of the mechanism driving sustainability if and when the microgrid is disconnected from the main utility, or even to control costs through targeted management of demand charges. In phase 3, we’ll see formation of more microgrids, and the movement to a distributed grid architecture. As the success of phase 2 makes microgrids more popular and business-case relevant, newer microgrids will be created. We’ll start seeing smaller cities and housing sub-developments moving in this direction. This also could be considered a step toward municipalization of some utility systems (at least in the United States), in which smaller cities won’t completely secede from the local utility but will look for more independence and better control of their costs. Depending upon their constituencies and locations, they also will spend more money and effort on getting local sources of energy (especially PV, wind, biomass, etc. ), storage (with community energy storage or larger storage devices), and demand response. In California, several initiatives are moving in this direction under the state’s Community Choice Aggregation (CCA) policies. As microgrids become more prevalent, it’s easy to visualize the distribution grid as consisting mostly of a group of microgrids within the interconnected grid, encompassing both transmission and distribution. When needed (or during a storm emergency or other restoration scenario) the interconnected grid could be split into a set of pre-defined microgrids, fully able to function independently at least for some time – possibly in a reduced capability mode, but nevertheless providing energy to minimize disruption. There is a certain level of sophistication that must be in place before this type of a system can be operational – from sensors and controls to visualization tools, to complex control system mechanism with a centralized DMS (distribution management system) able to function in an interconnected distribution grid mode, and manage each disconnected microgrid via a common set of tools. This control system also could be managed from either a central location or the cloud. Emergence of these capabilities in the grid will herald the fourth phase, the movement to dynamic microgrids. Until now, microgrids along the evolutionary path were all static, meaning that their configuration was pre-defined. In the next step on the evolutionary path, the utility system will form microgrids as required, based on the right supply-demand balance and the duration they’ll be required to operate in island mode. Their position as the last step on the evolutionary path isn’t intended to imply that the dynamic microgrid is necessarily several years away; rather, it’s intended to identify specific technological sensors and controls that will be required, as well as policy and tariff changes that must be in place to support the viable existence of the dynamic microgrid. Dynamic microgrids also need locational capacity – that is, a network of generation sources (distributed, renewable, or otherwise) that will become the sources of supply around which these dynamic microgrids can be created at need, delivering power to localized islands of stable operation. Possibly one of the foremost locations where the dynamic microgrid can be tested today is Long Island. In addition to being in the direct path of most major superstorms, it also is home to NYISO’s Zone K locational capacity network, with distributed generation scattered around the island, each of which could be a point of origin for a dynamic microgrid. As we look at this evolutionary path to achieving the dynamic microgrid, it’s easy to see the challenges and also the benefits that will ensue: higher reliability, greater energy independence, more control at a local level, lower long-term costs, and a smaller carbon footprint. The distribution grid will continue to evolve over time, and utilities will find ways to support new technologies and business requirements. Key new technologies that are evolving toward implementation at scale include solid-state transformers, DC power systems, energy storage, distributed renewables, and electric vehicles. The same technologies support advancement toward a network of microgrids. The distribution system will develop to a state where it comprises an interconnected network of microgrids (both classical and dynamic), each with its own distinct characteristics. Using dynamic microgrids will allow utilities to design their entire distribution systems such that when problems happen, the system will separate along pre-determined boundaries, creating a system of microgrids, some of which might be connected to each other, and some not. Some of these microgrids will incorporate technologies capable of balancing demand against available supplies, and some will be simpler backup power configurations. The former will be more stable than the latter, and they will be more effective in helping utilities restore power faster. Until now, microgrids have generally been implemented outside the regulated utility business model. However, dynamic microgrids allow the utility to take a front-and-center role in this effort by becoming initiators and owners of the change. Utilities can create an environment in which they drive the process by which microgrids get established, either in a static manner or in a dynamic manner – thereby delivering on customer mandates as well as their own need to provide an enhanced customer experience. 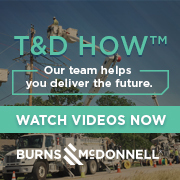 The utilities directly affected by Superstorm Sandy have a unique opportunity to demonstrate their leadership by moving the dial in this new direction. 1. A dynamic microgrid can be defined as a portion of a distribution grid that has the ability to independently separate itself from the main grid when in duress, be able to sustain itself in a stable manner for extended periods of time by creating a balance between supply and demand within its boundaries, and then reattach itself to the main grid once normal operation has been achieved. 2. The Gridwise Alliance used the term VLSE in its report, Improving Electric Grid Reliability and Resilience: Lessons learned from Superstorm Sandy and Other Extreme Events.